Many of the sports facilities at Queen’s have been updated and refurbished in recent years. Among the Oxford colleges they are second to none. The recently refurbished boathouse, shared with Oriel and Lincoln Colleges, is a lively part of the College located on the banks of the Isis in Christ Church meadow. In its own clubroom, Queen’s oarsmen and oarswomen are able to use the mini-gym as part of their training programme. The boathouse is particularly busy on those occasions during which many college crews compete against each other and crowds fill the towpath to support their own colleges. Directly across the river from the boathouse is the College sports ground that consists of well-tended football pitches, tennis and netball courts, an excellent cricket square and a welcoming clubhouse that provides changing and showering facilities and a bar. This is where many College sports teams play and train. The annual summer sports day takes place here. Two heated squash courts, said to be the best in Oxford, are located in the Cardo annexe on Iffley Road opposite the Oxford University rugby ground, swimming pool, gymnasium, and running track, which is famous for being the place where Roger Bannister ran the first four-minute mile. Indoor facilities within the main College building include a table-tennis room in the Back Quadrangle in which the College team competes and practices, and is also used by many other members of the College who find it a relaxing diversion when working in the nearby College Library. Queen’s is also one of the few colleges to have its own gym, which is in the Carrodus Quad annexe on Queen’s Lane. 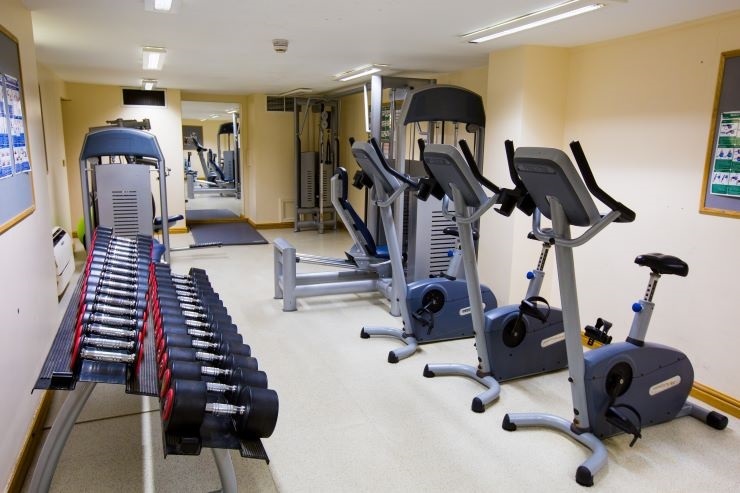 The gym is free for any College member to use and includes rowing machines, exercise bikes and weights machines. Queen’s has its own rowing, football, rugby, cricket, hockey, athletics, tennis, squash, netball, badminton, basketball, table-tennis, lacrosse, cycling, and croquet clubs, many having a men’s and a women’s section. Sport in Queen’s is run by the Amalgamated Clubs Committee that consists of an elected president and secretary, captains of sports, and a non-voting Senior Treasurer. Facilities for many other sports are provided by the University, which also caters for particularly talented sportsmen and sportswomen in sports mainly pursued at college level.